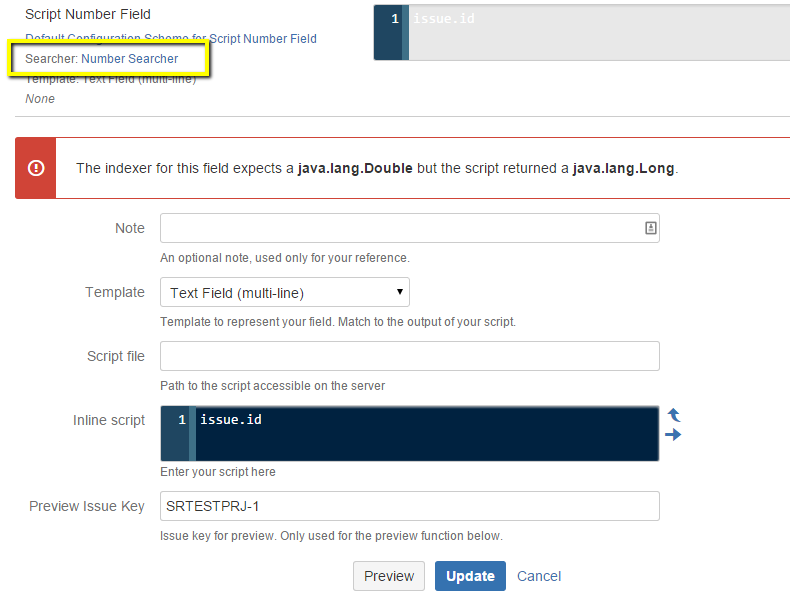 Click "Add New" and select the "Custom Script Field"
Navigate to Admin → Script Fields. Tip: type gg (or .) then Script in the popup. Instance of com.atlassian.jira.component.pico.ComponentManager This is here for backward compatibility. You should really use the ComponentAccessor instead.